You are here: Home / Ga State laws / What Does Utah’s Lower BAC Limit Mean in Marietta? What Does Utah’s Lower BAC Limit Mean in Marietta? The very early returns are in. So far, Utah’s new .05 BAC limit has not resulted in any additional DUI arrests. Rest assured that Georgia lawmakers took notice, and they may be considering a similar move. There’s no telling when this change might affect Cobb County drivers, but it could be very soon. New Years Eve is usually prime time for DUI arrests. 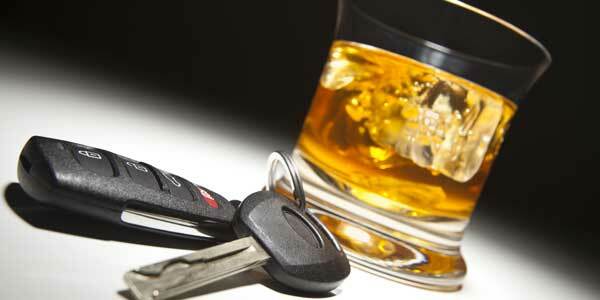 But Utah law enforcement officials said they did not arrest anyone who had a BAC under .08. But it is still early to tell what affect the law will have. Law enforcement officials are hopeful that the stricter law will reduce the number of drunk drivers. Opponents, mostly hospitality industry lobbyists, insist the change will only increase the number of DUI arrests. The Oregon legislature may soon consider a similar provision, and the Peach State may follow suit as well. Whether or not Georgia lawmakers follow Utah’s example and lower the BAC limit, the same three basic DUI defenses will be in place. By extending the deadline to request Administrative License Revocation appeals, Georgia officials recently made it easier to challenge mandatory drivers’ license suspension in DUI arrest cases. This extension was much more than a mere technicality. The ALR hearing is basically the first line of defense in DUI cases. In most misdemeanors, discovery is very limited. That’s especially the case in closed-file DUI jurisdictions. Depending on the District Attorney’s policies, defense attorneys may be unable to thoroughly review the prosecutor’s evidence in DUI cases. So, defendants may not know exactly what they are up against until the time of trial. This lack of information puts them at a disadvantage both at trial and during pretrial plea negotiations. Significantly, the ALR hearing is basically free discovery. Typically, the arresting officer testifies at the hearing regarding probable cause for the arrest. Therefore, an attorney can cross-examine the officer under oath. Normally, these types of depositions cost hundreds of dollars and are difficult to schedule. If the defendant files an ALR appeal, the deposition is free and there for the taking. ALR appeals may have other benefits as well. For example, if the probable cause evidence is weak, the hearing officer may reduce the suspension period or throw out the matter altogether. Admittedly, that outcome is not very likely. The hearing officer is generally a paid DMV employee who serves as prosecutor, judge, jury, and executioner. Around 80 percent of the DUI cases in Cobb County include either breath or blood chemical samples. Although officers explicitly tell defendants they have a right to refuse the test, most people submit samples anyway. The drivers’ license suspension periods are a little longer in refusal cases, and that fact probably scares many people. Besides, many people who have been drinking are not thinking very clearly. The conviction rate is much higher in test cases than refusal cases. Nevertheless, there are some effective defenses in these matters. Acetone Level: Ethanol and acetone particles are chemically similar, so many Breathalyzers cannot tell the difference. Some individuals, particularly diabetics and smokers, have elevated acetone levels in their bodies. A simple blood test may be enough to create reasonable doubt. Mouth Alcohol: If possible, a few people chug beer immediately before they take a Breathalyzer test. The mouth alcohol skews the results. That’s true, but the beer-chugging defense is very hard to pull off. However, the same thing may happen if the defendant burped or belched in the thirty minutes prior to the test. Unabsorbed Alcohol: Most people digest most alcohol through the liver instead of the stomach. That process takes a little longer. So, if the defendant had been drinking in the last hour or so, the Breathalyzer’s BAC estimate may be artificially high. These defenses are particularly useful in borderline BAC cases, such as a .08 or .09 test result. Blood test cases are more difficult to defend. But sometimes, if a defense attorney has the sample retested, the results are quite different than the ones from the police laboratory. There may be procedural issues as well, such as a gap in the evidentiary chain of custody or an issue with the search warrant. Things have changed a lot since 1999. Yet despite ever-broadening medical knowledge, the National Highway Traffic Safety Administration still only approves three field sobriety tests. Unapproved tests, such as the finger-to-nose test, have never made the cut, and probably never will. The limited number of tests speaks volumes about the shaky science which supports them. The uncertain foundation makes it relatively easy to successfully challenge these tests, especially if a Cobb County prosecutor must use them to establish guilt beyond a reasonable doubt. Walk and Turn: It is rather easy to walk a visible straight line heel to toe in a well-lit room. But try doing it outside and under a dark sky. The task is even more challenging if the defendant must walk an imaginary line instead of an actual line. One Leg Stand: Officers often testify that defendants “failed” this test because they used the wrong foot, held the leg at a slightly-incorrect angle, or some other technical violation. But most Cobb County jurors see these ratings for what they are, which is a blatant attempt to justify the DUI arrest. Horizontal Gaze Nystagmus: Alcohol intoxication causes involuntary pupil movements, but then again, so does a childhood brain injury, genetic predisposition, certain medications, and a number of other things. Moreover, nystagmus is so subtle that most people do not even know they have this condition. In Georgia, beyond a reasonable doubt basically means the prosecutor’s evidence is so overwhelming that there is no other possible way to explain it. That showing is very difficult if the prosecutor only has the FSTs to work with. 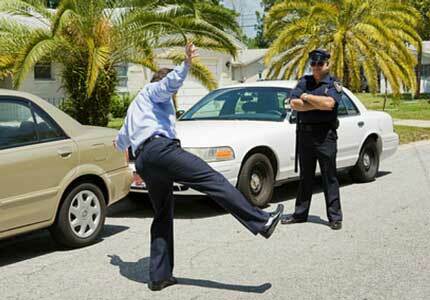 Regardless of the legal limit, DUI defense will remain the same. For a free consultation with an experienced criminal defense attorney in Marietta, contact The Phillips Law Firm, L.L.C. Convenient payment plans are available.